By her early thirties, Tammy Strobel was what many people would consider a success. She was pulling in a decent salary and, together with her husband, had two cars and a two-bedroom apartment in Davis, California, packed with shiny possessions, and closets filled with stylish clothes. But she wasn’t happy. “I was commuting two hours per day to work, sitting in a cubicle for eight hours, medicating myself with shopping, and crying into a cocktail when I came home at night,” she says. So, she and her husband, Logan Smith, decided to make changes—big ones. Strobel first discovered minimalism after watching a YouTube video about Dee Williams, a tiny-house pioneer and author of The Big Tiny: A Built-It-Myself Memoir. After a few months of devouring books and blogs about tiny houses and living more simply, she and Smith began donating many of their belongings to charity. “Eventually I quit my corporate job, went back for a master’s degree in education and women’s studies, and then found work in the nonprofit world.” She also took on the 100 Thing Challenge created by Dave Bruno. “Reducing my personal possessions to only 100 items made me feel more calm, as I saw I no longer needed to hold on to things that don’t serve me,” she says. devoting more time to outdoor activities, writing, and the important things in her life like friends and family. Less space meant less stuff, less cleaning, fewer expenses and more freedom—the house was built on a mobile 16’ x 8’ trailer. 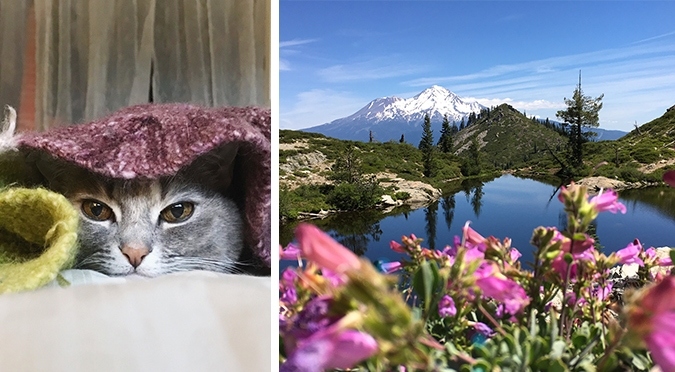 So, in 2015, four years after moving into the tiny house, the couple turned it into a getaway retreat and moved into a small apartment fifteen miles away in Yreka. And even though their living quarters have evolved, and they do now own a car so Smith can drive to and from work, their minimalist lifestyle remains intact. 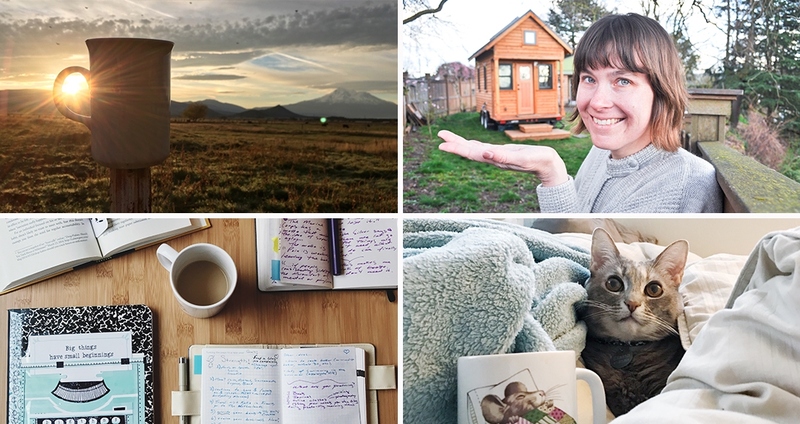 “We don’t really own much more than we did when we lived in the tiny house,” says Strobel, who spends her days much the same way she has for years now, writing the blog, pursuing photography, and teaching online courses on those things a few times a year. Check out the More Calm, More Joy eBook HERE.